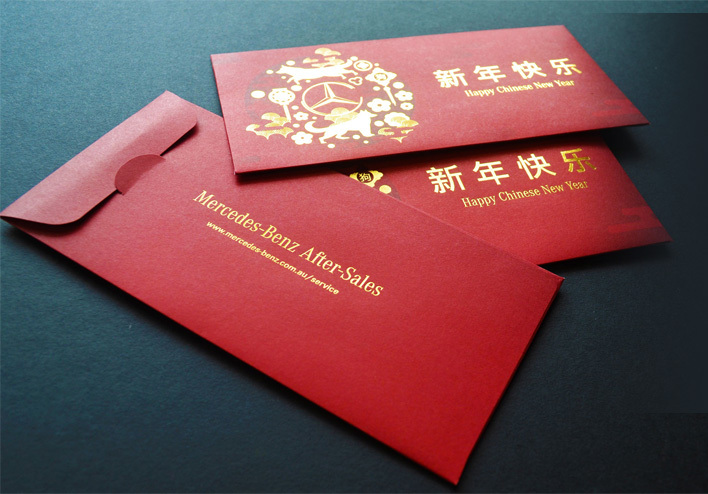 In December 2017 we were asked by Mercedes-Benz Australia/Pacific if we could produce 9,000 red envelopes for a Chinese New Year promotion. The envelopes were to be of a particular size and be both printed and gold embossed. So we then contacted our print suppliers and gave them the clients requirements and the job was put in motion. To cut a long story short we completed the job in mid-January and forwarded various quantities to their 60 + distributors across Australia and New Zealand. The moral to this story is PPA has the experience to do it all.